The Short Version: In the ideologically divided United States, it seems that more singles aim to find romantic partners of their same political ilk. Many conservative singles say they’ve struggled to meet like-minded people on dating platforms, especially if they live in cities with an overwhelming liberal population. To solve this problem, Dave Goss created TrumpSingles.com, a dating site for conservatives and supporters of Donald Trump. When users meet someone on the site, they know that, at the very least, they’ll have a conservative political outlook in common. 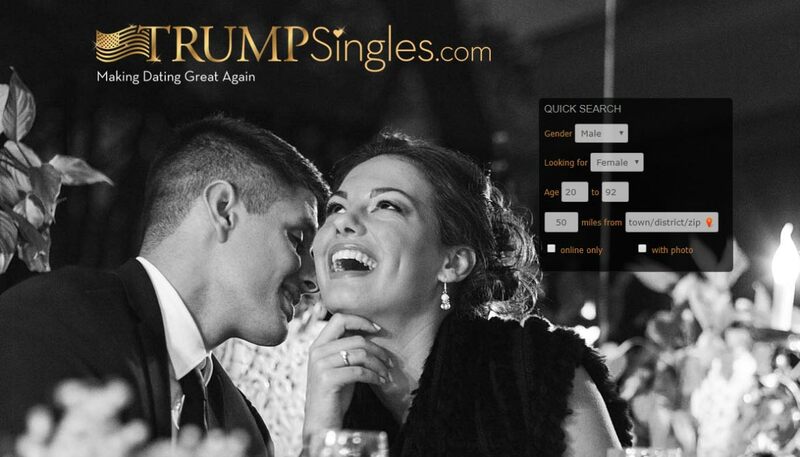 TrumpSingles isn’t just for conservatives in the U.S., though. The site has attracted users from more than 37 countries around the world. As Donald Trump was trying to secure the Republican presidential nomination in 2016, a dating trend began to emerge. Many singles wanted less to do with potential partners who didn’t share their political persuasions. 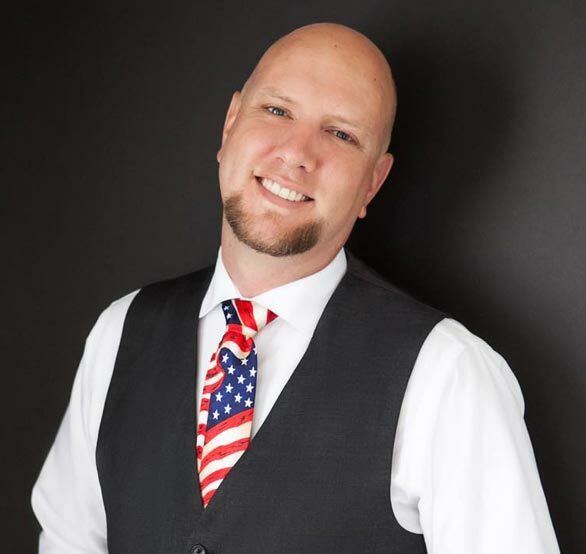 Dave Goss, the Founder of TrumpSingles.com, recognized this and saw that his conservative friends often went on less-than-ideal dates with liberals. One of his Trump-supporting friends went on a particularly bad date with a Democrat. When she told her date that she was voting for Trump, he got up and walked out. She was stuck with the food and the bill. Needless to say, there was no second date. Some dating sites haven’t been friendly places for conservatives, either. In fact, some liberal online daters have put in their profiles that Trump supporters should not message them. Dave Goss founded TrumpSingles.com because he wanted to help conservatives find more ideologically compatible partners. “My friends saw politics start coming up on first dates, and, as politics became more prevalent in those conversations, their dates didn’t go so well,” Dave said. Dave and his friends weren’t alone in noticing that the 2016 presidential election polarized political singles. Before 2015, religion was the most significant factor in discerning compatibility; political views were often lower on the list of essential dating considerations. Since then, political affiliation has become the second most important factor in beginning a romantic relationship. “Politics now make up a big part of why people want to be with someone,” Dave said. On TrumpSingles, users can find partners who share their conservative beliefs, eliminating much of the guesswork. Many of the site’s users don’t necessarily want to discuss politics on their dates; they just want to know that they’re on the same side so they can focus on other things — like getting to know one another. In response to the disappointing experiences of his friends on other sites, Dave started researching dating platforms for conservatives in 2016. He didn’t find much. However, by chance, he did discover that the domain TrumpSingles.com was available for purchase, so he bought it. He started developing a dating site while Trump was still in the primaries, and it started seeing success right away. “The New York Post found us and wrote a big article about the site. We blew up from there. We saw a mass amount of people signing up,” Dave said. Just before the general election, though, new users tapered off. Dave also began researching ways to move forward in case Trump lost the election, as he would need to change the site’s name and focus if Trump was no longer running for anything. On the day of the 2016 presidential election, Dave sat down to write a new business plan to replace TrumpSingles.com. “I was sitting down on the day of the election, writing out a new business plan for the site,” he said. But Trump did win, and the popularity of the dating platform exploded, as well. Though conservatives were now in the majority in American government, singles were still worried about having unpleasant dating experiences with moderates or liberals. “They want to go on dates where they’re not told that they’re terrible people,” Dave said. This model worked, and, over the next two years, TrumpSingles.com grew to more than 50,000 users. In 2017 and 2018, that number stayed steady as new users signed up and those who found relationships took down their profiles. 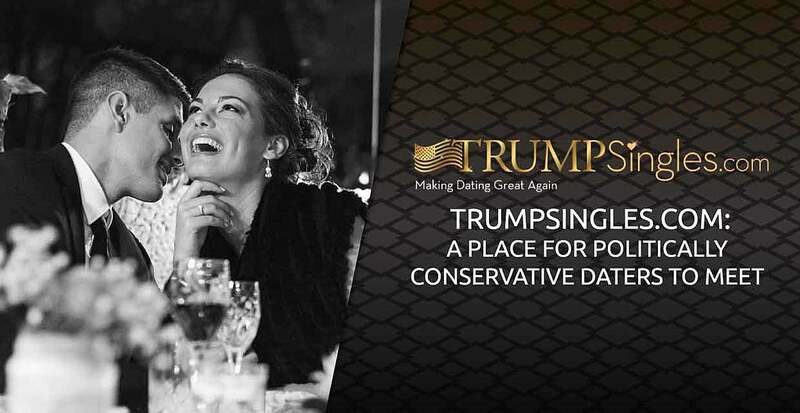 Since TrumpSingles users establish their conservative leanings early on in their relationships, they are free to do what they enjoy on their dates. In one of Dave’s favorite testimonials, a couple headed to the shooting range after seeing a movie on their first date. Other daters prefer to do Trump-specific activities. One pair of daters told Dave that they’d spent their first date at a Trump rally in Las Vegas. “We have users who enjoy traditional dates and those who are doing typical conservative Republican activities,” he said. The platform allows users to find one another based on a variety of searchable information, including location, physical characteristics, and interests. Daters cansubscribe to the platform and use credits to message non-registered users. TrumpSingles.com has more than 50,000 users from across the globe. Without a subscription, users can’t send messages to others, but, if a guy is interested in a girl, he can send her credits so she can pay to message him. “It’s kind of a chivalrous thing. It’s showing the girl that the person has a real interest in her. There’s a little more substance to that person,” Dave said. While users have different preferences, one thing is clear about TrumpSingles: Its members are finding the dates they couldn’t get on other sites. Dave notes that many users have found partners quickly on TrumpSingles, whereas they’d been having no luck for a year or more on other platforms. Like Dave, who used to have to worry about divulging his political beliefs to friends and romantic interests, TrumpSingles users know their political leanings won’t be a dealbreaker. Many TrumpSingles users live in liberal-leaning cities — including New York and San Francisco — where they have particular trouble finding someone compatible. They use the platform because it allows them to avoid many bad dating experiences — like the ones Dave’s friends endured with liberal-leaning singles. “Some of our biggest supporters are in major Democratic cities,” Dave said. But Trump supporters and users of the website aren’t just located in the United States, as users hail from 37 different countries. Australian users make up the largest percentage of non-American members. This international support for the platform has also drawn plenty of attention. Articles about Dave and his site have been written in 17 countries, and he’s done TV interviews in Russia and Japan. “People think the whole world is laughing at Trump and making fun of us, but there are people outside of America who support Donald Trump,” Dave said. As for the future of the platform, Dave wants to ensure that it’s here to stay. After hastily developing the website when he thought it would last for only a few months in 2016, he now wants to offer even more customized features. “I’m working with investors to rebuild the entire site,” Dave said. And while Dave has taken some criticism for building the platform, he said he feels that means he’s hit on an idea that resonates with people. That’s why he remains positive about his site’s success — and its future. “If someone is willing to tear down what I’ve done, it means that I’ve done something good,” he said.